is elated to Celebrate the Life of an outstanding, talented author, actor speaking up for women and women’s rights and struggles in her novels, and so much more… all the way from Leningrad. is now brought to the attention of English-reading audience worldwide. 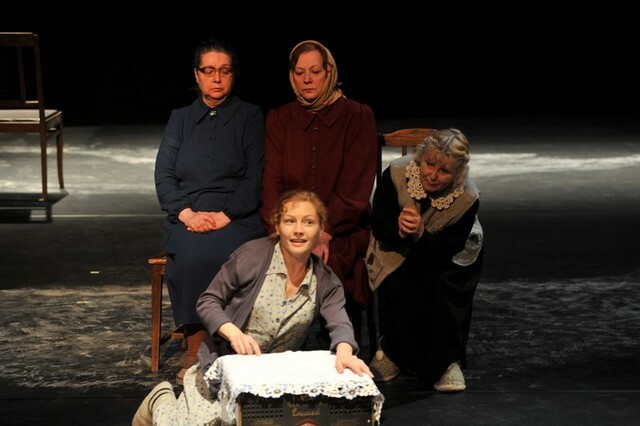 Chizhova’s fragmented monologues embrace war and women, famine and food preparation. The title and the style both challenge more conventional narratives. The mixture of eavesdropping, whispered dialogue and stories is set against the official versions of reality on the new TV. The Russian Booker Prize winning novel “The Time of Women” tells the story of three old women raising a small mute girl, Suzanna, in a communal apartment in the Soviet Union of the 1960s. Memories of hardship in first cataclysmic half of the century, as well as the loss of their own children, have receded in the background of everyday worries – such as how to preserve flour from one season to the next, or how to afford a wool suit for the 7-year-old girl. Here the author gives priority of voice to the grandmothers who, having lost their families in the World War II siege of Leningrad, quietly tell their stories to the future writer during confidential conversations at home. Chizhova uses these scraps of stories to form the base of her narrative, voicing the terrible facts of the siege in contrast to official versions from Soviet books. Antonina, a factory worker and single mother, gets a room in a communal apartment that she and her little girl share with three elderly women. All have lost their families and become “grannies” to little Suzanna. She responds to their stories about the Revolution, the early days of the Soviet Union, and the blockade and starvation of World War II by drawing beautiful pictures, but she remains mute. If the authorities find out she will be taken from her home and sent to an institution. When Antonina falls desperately ill, the grannies are faced with the reality of losing the little girl they love – unless a stepfather can be found before it is too late. 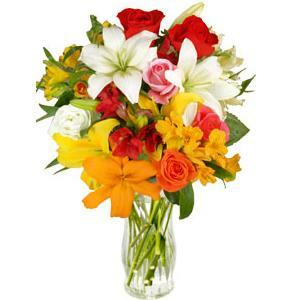 And in this “time of women”, what they need is just a bit of kindness and cooperation from a man. The novel features a variety of characters representing a collage of Soviet society, which only seems to be equal and to treat all its citizens alike: the former aristocracy, the intelligentsia, villagers secretly mocking communist ideals while hoping only for God’s help, low-level party officials, trade union members ardently loyal to the Soviet Union, factory workers just starting to believe in the benefits of Soviet society and hoping that one day it will actually be possible to have a washing machine at home. The female characters of the book combine all that is left from the past and inspired by their present: rural beliefs, religious views, the remnants of aristocracy, the myths of Soviet reality and ideology. All these elements intricately combined in the minds of these not-quite-yet-Soviet individuals and define the practice of their everyday lives. For them, tragedy is not a single event, loss has become ordinary, and stories about it just happen to come up in everyday conversation. Because such is the reality of their lives. Chizhova’s book is not completely autobiographical – the writer has reproduced what may be called family historical heritage: “In some sense, I write about my childhood. I did not attend a kindergarten; my mother and grandmother always talked about the siege as they experienced it, and how my grandfather and grandmother died. This was the background of my childhood, and I can’t say it shocked me. I felt that it was the norm”. 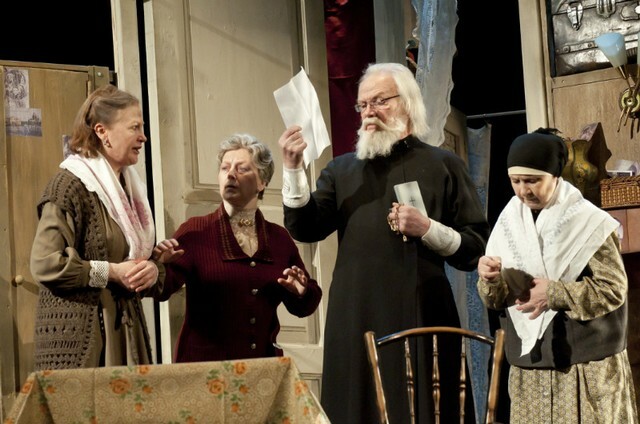 The emotional tension of the book with its complicated narrative structure, transferring the speaking voice from one character to another, has aroused the interest of theater directors: it has been successfully realized as a play by the famous Moscow Sovremennik Theater (“The Contemporary”). Born in Leningrad in 1957, Elena Chizhova worked as an economist, teacher, and entrepreneur until a rescue from a burning cruise ship in 1996 inspired a change in her life focus. 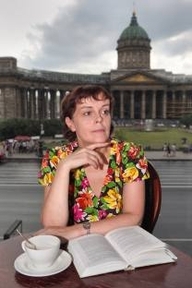 She became a writer, and has gone on to be nominated for and to win several prestigious literary awards, including the Shortlist Russian Booker Prize in 2003 and 2005, and the Russian Booker prize for Time of Women in 2009. ELENA AT WORK IN LONDON, UK. Glagoslav Publications is an English-Dutch publishing company specializing in contemporary fiction and non-fiction by Russian, Ukrainian and Belorussian authors, as well as significant works from the past that, despite their enduring relevance, are currently unavailable in English and Dutch. NOT long ago, Yelena S. Chizhova was engaged in what has become a standard winter pastime for Russia’s middle class: taking the sun at a giant resort hotel in Egypt. She and a girlfriend, who also grew up in St. Petersburg, joined the river of people flowing into the warehouse-size dining hall, its tables heaped with steaming meat and pastries. And then something passed over them like a shadow. The women felt so uneasy that they had to step away for a moment, and Ms. Chizhova asked her friend what she was thinking about. But she did not need to ask. What the two women had in common was relatives who starved in the 872-day siege of Leningrad, as St. Petersburg was then known, when army engineers set off explosives in the fields and shoveled corpses into the craters. 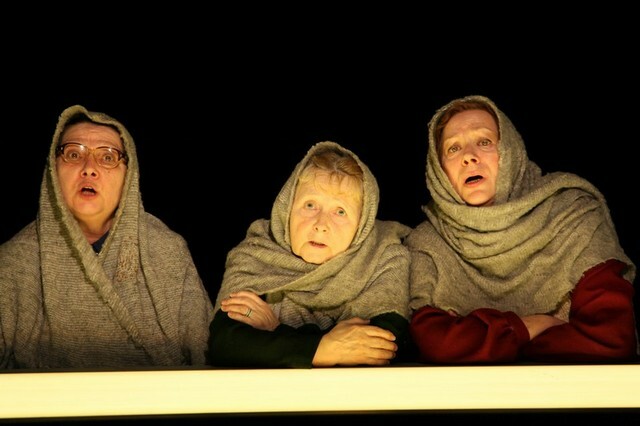 February 2012 marked a splendid theatrical premiere: the director Gennady Trostyanetsky put on the play based on Elena Chizhova’s novel “The Time of Women” in the St.Petersburg Tovstonogov Bolshoi Drama Theater. The play has been greeted warm-heartedly in the writer’s hometown that also provides the settings for the novel. In recognition of the growing publishing industry and book market in Russia which releases on average 120,000 titles per year, Russia will be the Guest of Honor at BookExpo America‘s Global Market Forum in 2012 in New York. 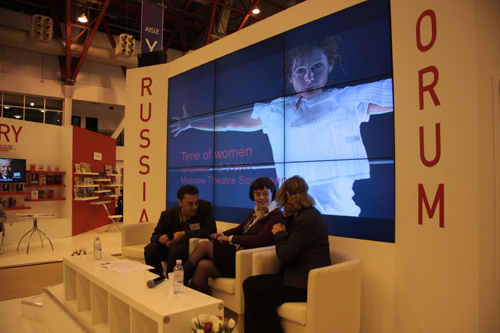 Academia Rossica, a London based Russian Art and Culture Foundation and initiative for the promotion of Russian literature internationally, will co-sponsor the Russian delegation of 40+ authors as well as a delegation of booksellers and librarians. welcomes this pioneering trail blazing woman into our Alumni with open arms and warm hearts.